RRB Group D Syllabus 2019 is available here. As the RRB Group D notification has been released in the month of Feb 2019. RRB (Railway Recruitment Board) will be filling 60000+ vacancies in the year 2019. So many candidates those who applied for the RRB Group D post are in search of RRB Group D Syllabus 2019. Through this article we are providing the detailed information regarding the exam pattern and RRB Group D Syllabus 2019. RRB General Science Syllabus will be covered under 10th Standard level. 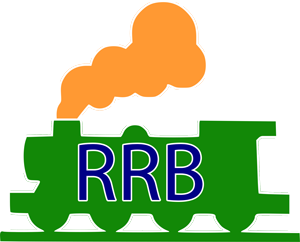 The RRB Group D written exam consists of four sections General Knowledge, Arithmetic Ability, General Intelligence and General Science. The Duration of the RRB Group D exam is 90 minutes. There will be negative marking of 1/3rd for each wrong answer. Starting date for RRB Group D Apply Online: February 2019. Last Date for RRB Group D Apply Online: March 2019. We are Provided enough information about Railway RRB Syllabus PDF and Exam Pattern 2019 in the above section, for making it easier for the readers. For further details about Indian Railway Jobs, please visit the official site.